Now we have enough drinking water in school which is clean. 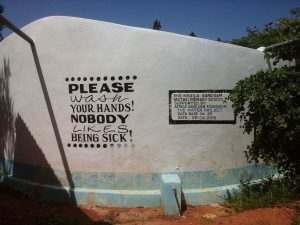 Cases of pupils falling sick while in school have gone down owing to the existence of safe water and improved levels of hygiene and sanitation. Life in school is now more fun, with plenty of water available for drinking and keeping us clean. A year ago, generous donors helped build a rainwater harvesting tank and latrines for the Muthei Primary School in Western Kenya. Because of these gifts and the contributions of our monthly donors, our partners are able to visit project sites throughout the year, strengthening relationships with communities and evaluating the actual water project. These consistent visits allow us learn vital lessons and hear amazing stories – we’re excited to share this one from our partners Titus Mbithi and Mutheu Mutune with you. 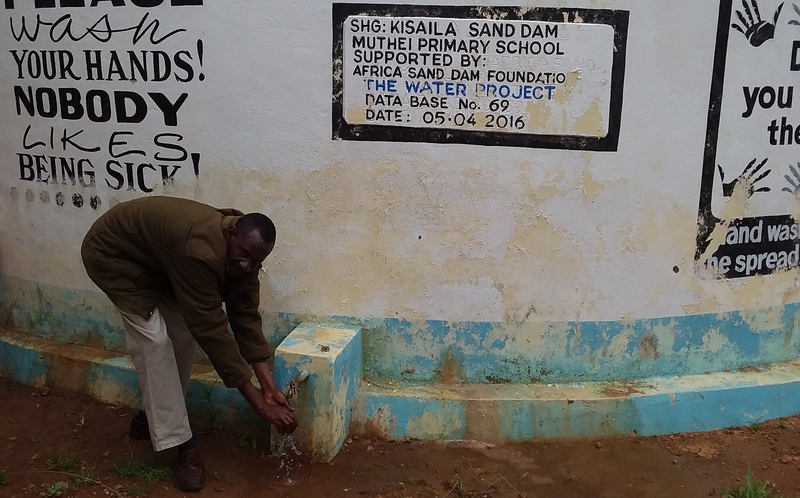 Water is no longer a big concern for students and staff at Muthei Primary School. The school now cares for a vegetable plot that’s watered regularly thanks to the tank. The school has also been able to maintain a tree nursery, and plans to sell the seedlings to earn income. And most importantly, there is now enough drinking water. Students are no longer required to carry water to school, and the results of this are great; students no longer avoid school or are absent recovering from waterborne illnesses. 15-year-old Dorothy Mutindi echoed what we already knew from our monitoring visits: “Now we have enough drinking water in school which is clean. 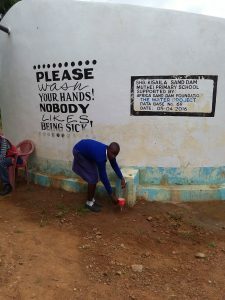 Cases of pupils falling sick while in school have gone down owing to the existence of safe water and improved levels of hygiene and sanitation. Life in school is now more fun, with plenty of water available for drinking and keeping us clean,” she shared. Dorothy is one of the many students who look forward to performing better on this year’s exams. During the driest months of the year, school staff sets up a chair by the tank’s spout and monitors water use. This helps them ensure there’s enough clean water until the next rain. When you invest in The Water Project, you're investing in people like Dorothy Mutindi. Your gifts help us reach more communities with the gift of clean, safe water. And every drop helps unlock potential.